Hundreds of IVY Members showed up for IVY’s 7th annual Winter Gala at Bowery Hotel. The gala benefitted Roots & Wings, a critical charity that envisions a world beyond poverty where all people thrive through the roots of social empowerment and the wings of economic opportunity. 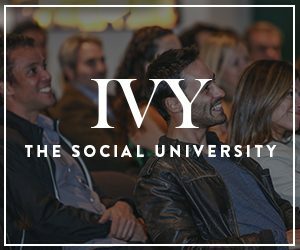 IVY Media took the opportunity to catch up with IVY Members to hear their plans for the year ahead — both within the IVY community and beyond.